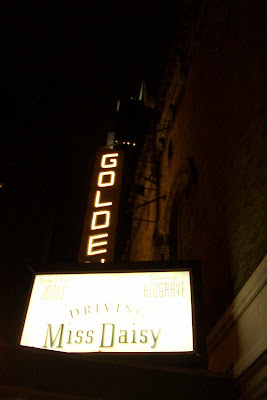 Driving Miss Daisy is one of my all-time favorite films (I even have the VHS tape to prove it!) 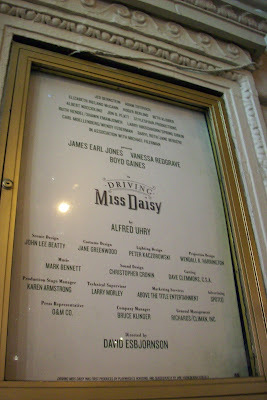 I was most excited to hear that it was finally coming to Broadway, starring the radiant Vanessa Redgrave and the lustrous James Earl Jones. The bittersweet story of the unlikely friendship between a Jewish widow and her black chauffeur in the segregated South is oh-so delightfully funny and affecting. 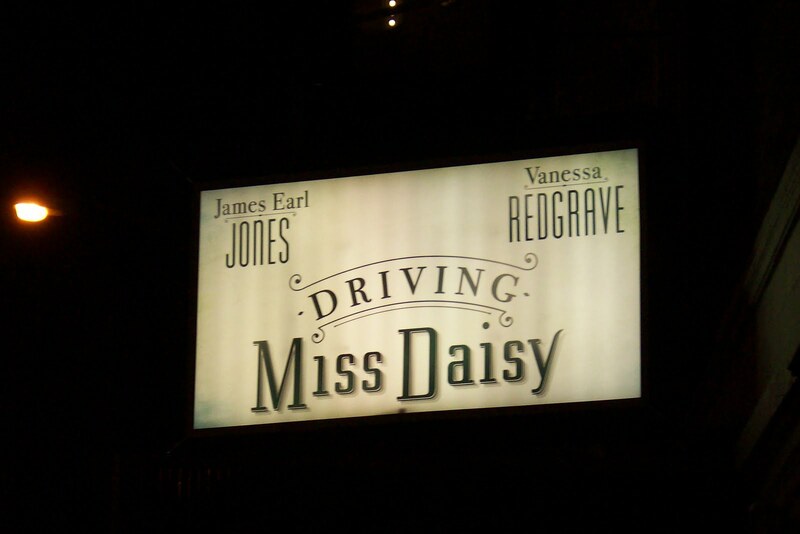 In Ms. Redgrave's very capable hands, Miss Daisy Werthan is feistier than ever. And given Ms. Redgrave's stature, an even more imposing character. Although Mr. Jones's Hoke Colburn seems more frail than Morgan Freeman's iconic performance, his Hoke proves himself an equal match to her spirited ways. The repartee between characters is comedy heaven. The talented Boyd Gaines portrays the patient Boolie, Miss Daisy's son who also stands his ground against his very stubborn and opinionated mother. The tale of two outsiders who somehow find a deep and lasting connection never fails to bring me to tears. Mosey on over to the Golden Theater to catch this gem of a show. Driving Miss Daisy is a must-see.